Have you ever realized you live in total filth? Discovered disgusting messes lying deep in the crevices of your life? Well, no more! 1. 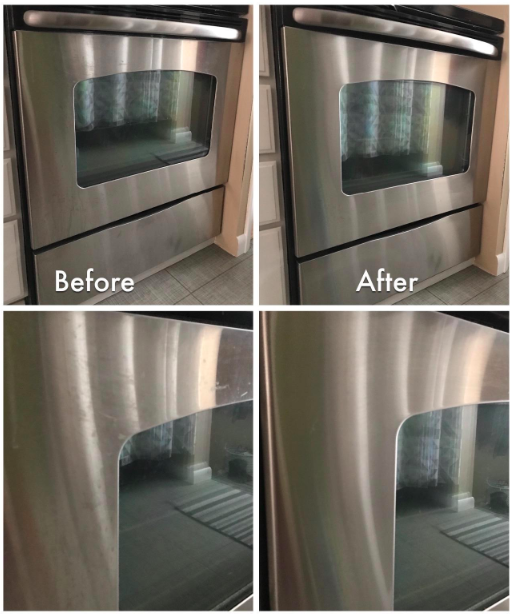 A concentrated water-based, non-toxic, biodegradable, non-flammable, and xylene-free degreaser that'll break up that kinda sticky film that can manifest on your cabinets, walls, and floors...without damaging them. Promising review: "Ok, background. We have vinyl flooring made to look like wood. 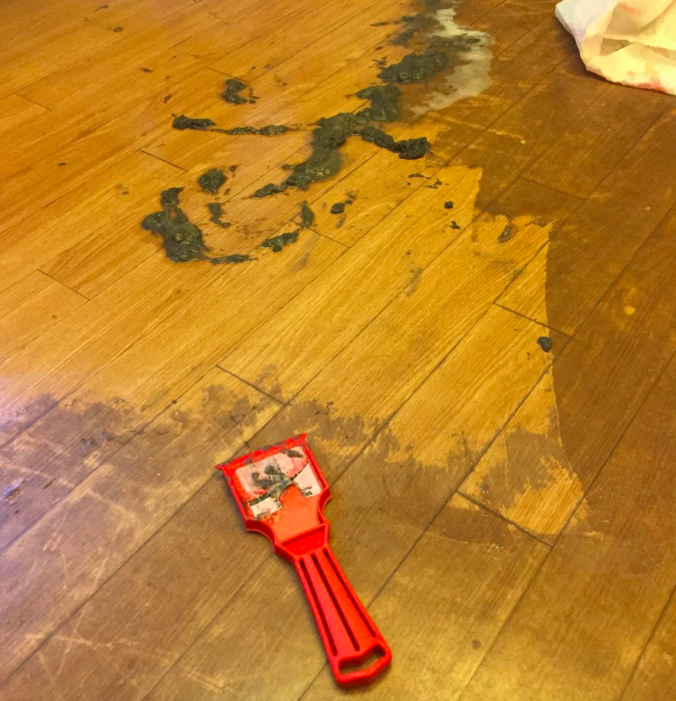 We had no idea how to take care of it and had managed to wax some sort of impenetrable layer onto the floor so that mopping was ineffective. Nothing cut through this later and I had tried it all. Steamers. Boiling water. Bleach. Scrubbing bubbles. Abrasive powders. Everything. We put this on full strength. 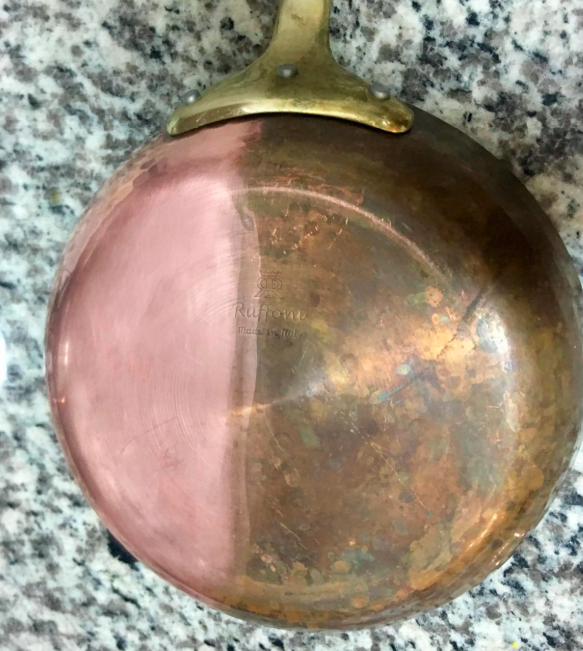 Let it sit for 20 minutes and the sludge just wiped off. We used a scraper to just easily slide the gunk off. 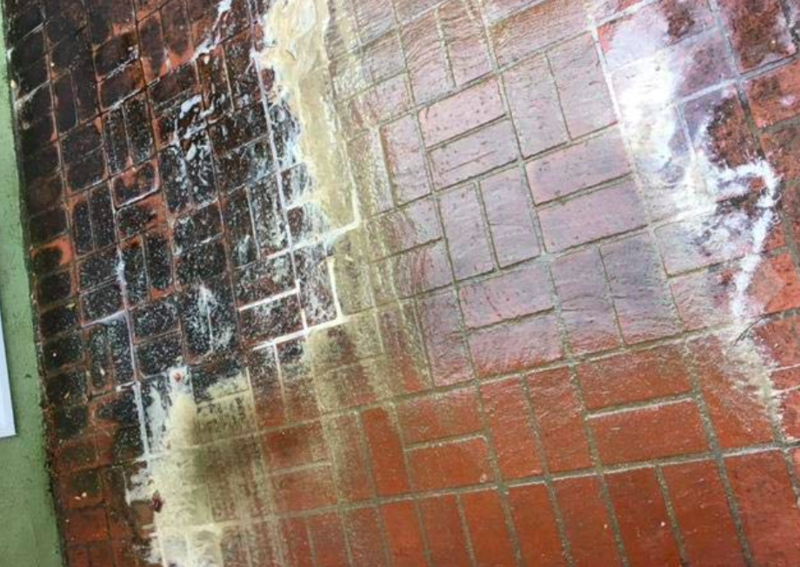 My lord Krud Kutter is the best stuff in the world and no fumes and no chemical burns." —Kathleen B. 2. 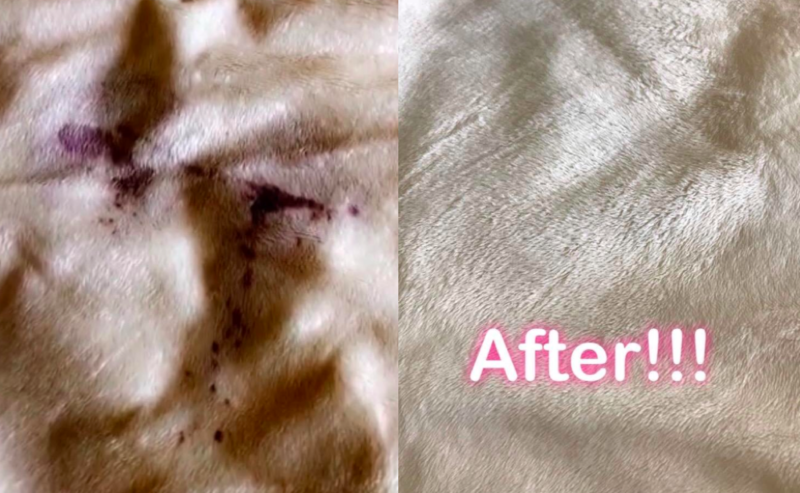 A restorative microfiber cleaning detergent designed specifically to help you get your microfiber cleaning cloths clean, but preserve their absorbency and effectiveness after they've helped you scrub away all your messes. Get it from Amazon for $9.99 and check out these microfiber cloths. 3. 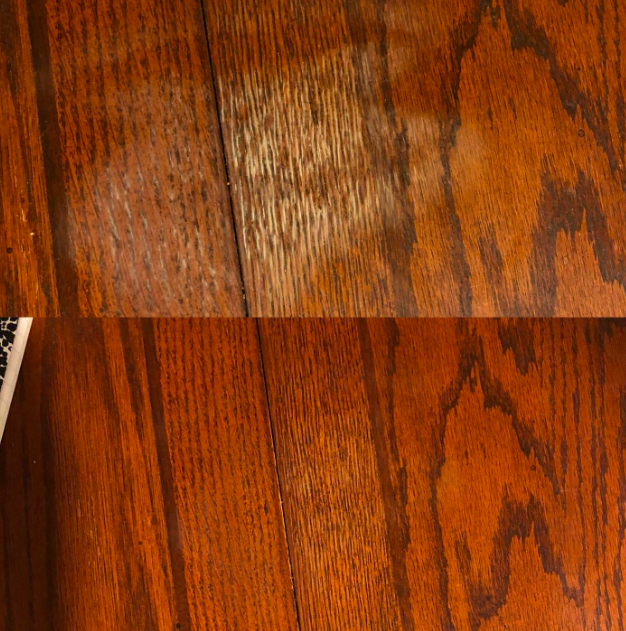 A plant-based stain remover capable of breaking down the most stubborn, caked on, basically permanent stains your furniture and clothes have ever seen. 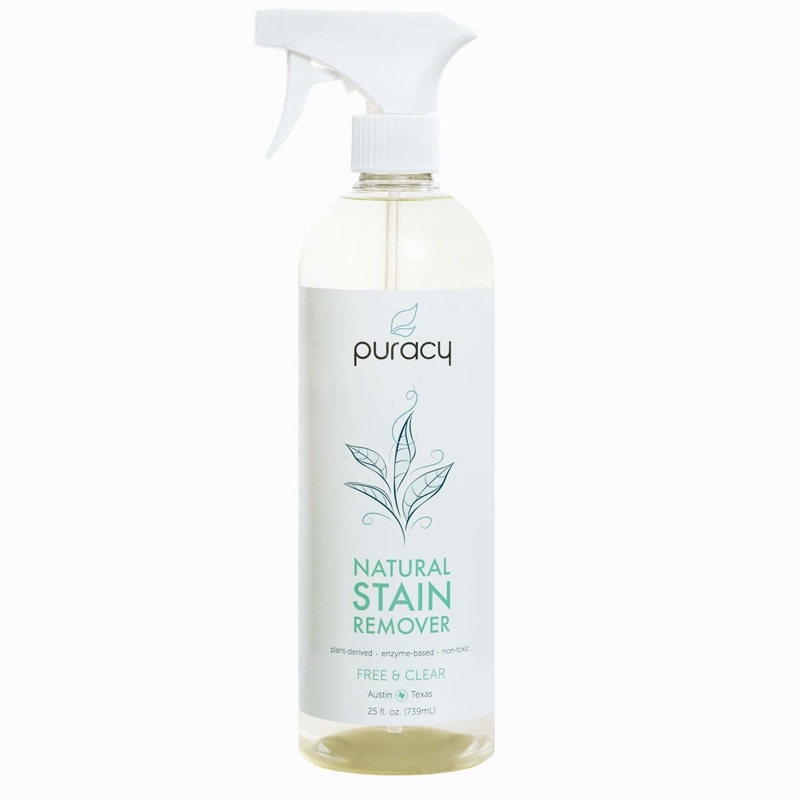 Also check out our full review of Puracy Natural Laundry Stain Remover. 4. A FlexiSnake drain cleaning tool for help pulling out some of the most messed-up crap you've ever seen out of your drain. 5. A pair of durable plastic scrapers to get rid of the build-up on your cast-iron pan without ever compromising the hard work you did to get it seasoned just right. Get a two-pack from Amazon for $2.99. 6. 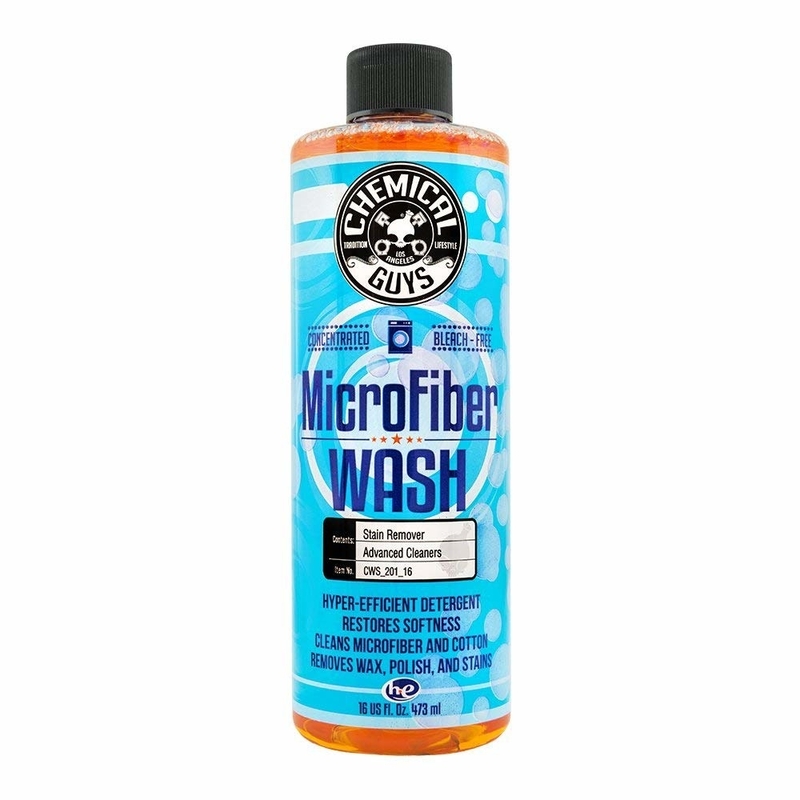 A super strong scum and grime remover that'll eat away at the years of filth you've never been able to scrub away — in fact, this stuff won't even make you scrub that much to get everything sparkling clean. Get it from Amazon $17.88. 7. 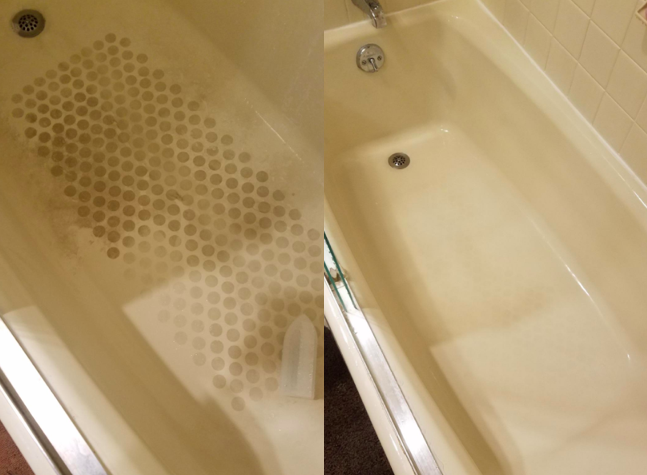 A commercial strength hard water stain remover so you can finally clean that damn shower door that used to be clear and is now frosted with grossness. 8. 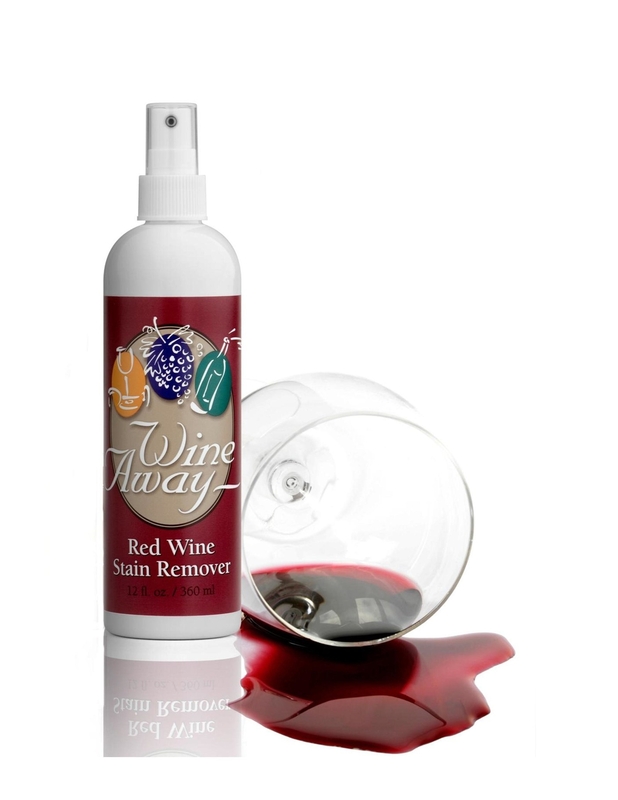 A citrus-scented red wine stain remover for help effectively getting rid of the mess you made when you got a little sloppy — What?! Your shirt was thirsty too! 9. 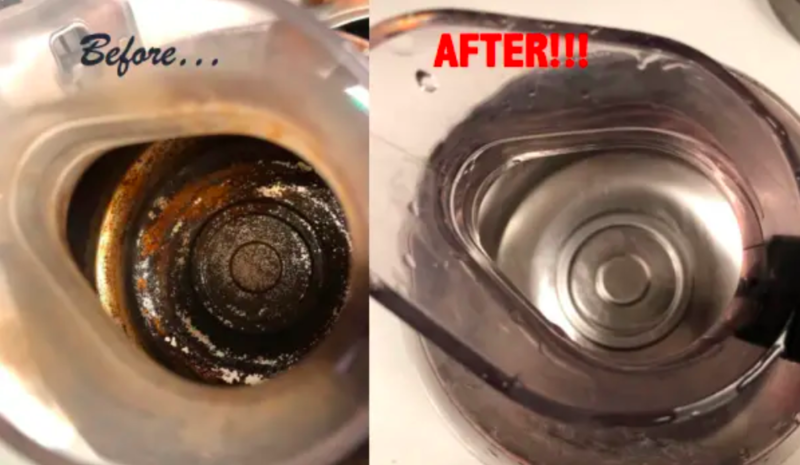 A canister of Bar Keepers Friend, because this stuff is basically the superhero of cleaning supplies: a powder that can remove rust and hard-water stains without being abrasive, leaving everything it touches clean and totally polished. Read our full review of Bark Keepers Friend. 10. A pair of washable microfiber dusting socks to help you sweep up the mess you just made, without actually having to do any real work. Get a pair from Walmart for $5.98 (available in six colors). 11. A sturdy pumice cleaning stone that'll help you fight the war between calcium, lime, hard-water stains, and your toilet. 12. 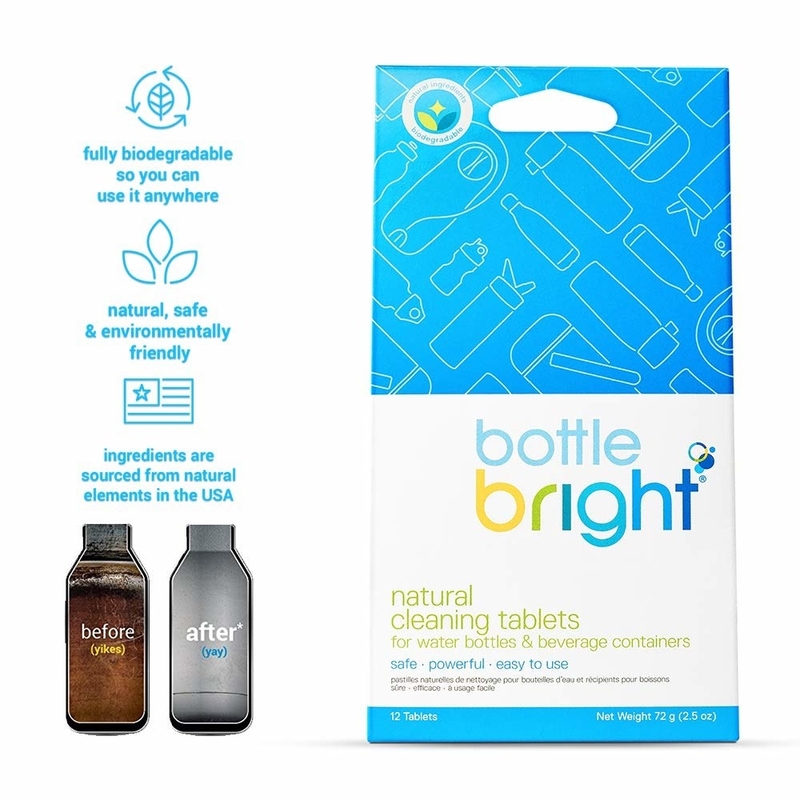 A pack of Bottle Bright for an all-natural, biodegradable, odor-free way to clean your water bottle. Get a pack of 12 from Amazon for $8. 13. A pack of Glisten Disposer Care Foaming Cleaner that'll work by bubbling up to reach deep into your disposal and pipes, tackling any build-up that's accumulating down there — that's what she said. Get a four use pack from Amazon for $7.08. 14. A three-blade blinds cleaner with five removable microfiber sleeves so you can clean every last slot over and over again. 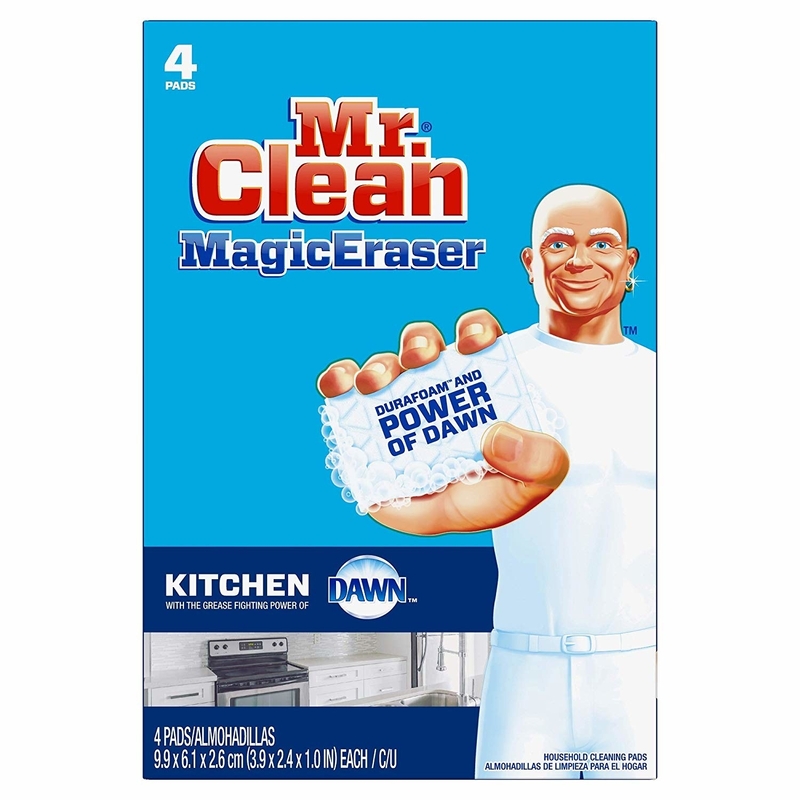 Promising review: "These blind cleaners are terrific! 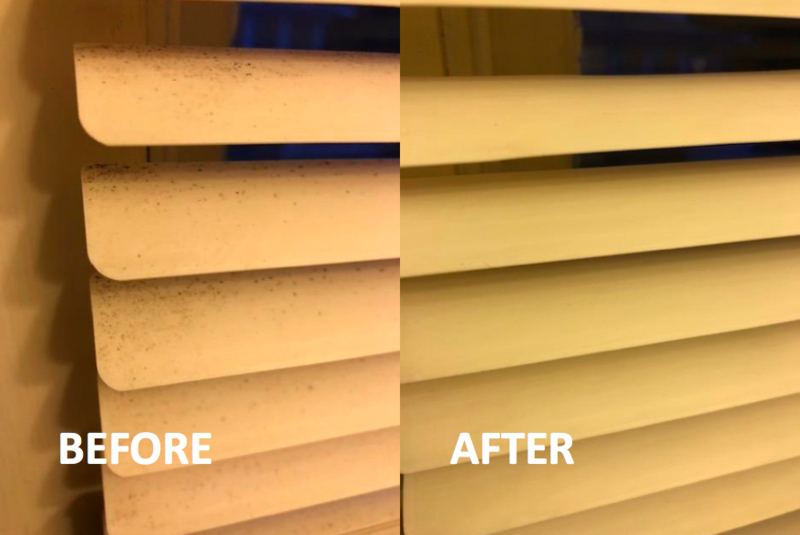 I've enjoyed cleaning houses and offices professionally for over 20 years and cleaning blinds is not always easy. I debated and debated what to buy, to try to make the process a bit easier. Within five minutes of using this, I was almost doing cartwheels — it really works! Best product I have ever used to clean blinds. 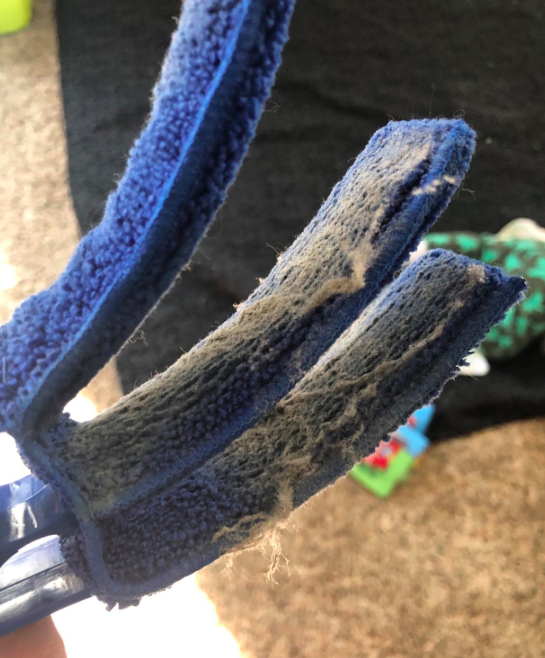 My first time using it, I had eight different large blinds to clean, with skinny slats to boot, and this duster brush with refills DID THE JOB BEAUTIFULLY. I have gone from dreading cleaning blinds to actually enjoying the process. I could not be happier." —T.R. 15. A stainless steel chainmail scrubber that'll get your pots and pans so damn clean you'll be able to eat off them (just not your non-stick ones). 16. 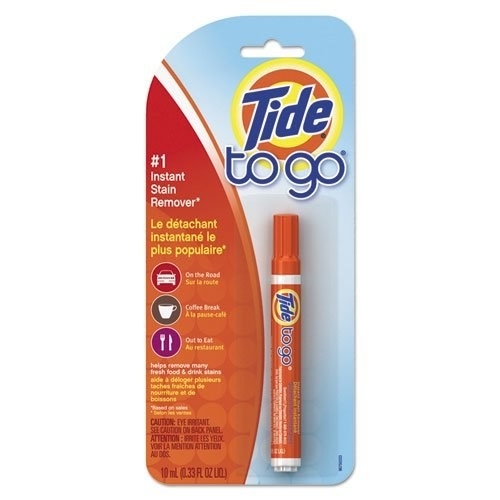 A pack of Tide To Go pens to have in your purse, on your desk, and in your car, because let's be real: You need these little bad boys everywhere you go. 17. 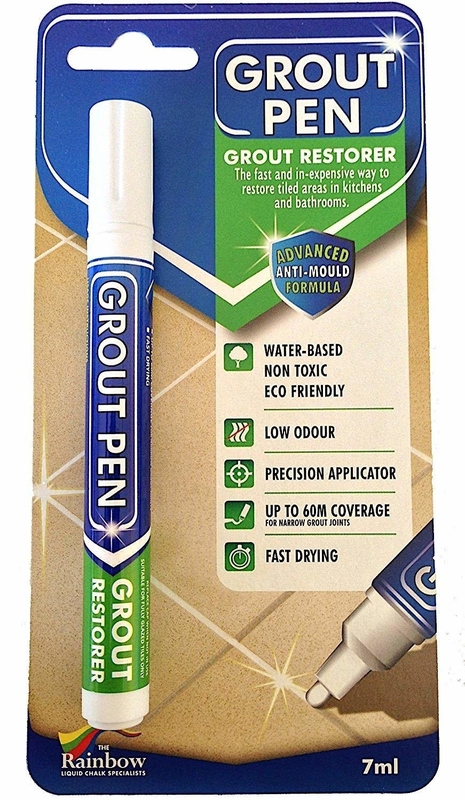 A grout pen to help you cover up the years and years of damage you've let fall through the cracks and stain your grout. Get it from Amazon for $8.99 (available in white, terracotta, and cream). 18. A pack of heavy-duty multi-surface cleaning wipes for help getting those gross and messy spills without any water. Get a pack of two containers with 40 wipes each from Amazon $17.32. 19. 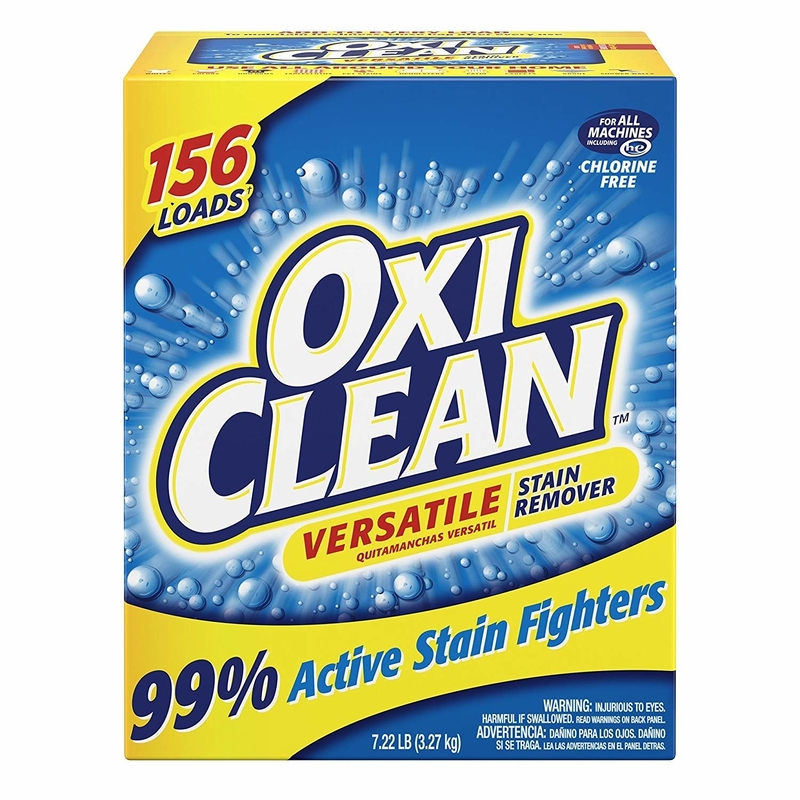 A uniquely formulated, water-activated Oxi Clean stain fighters for a serious and safe clean that you can use on a variety of surfaces — from bricks to laundry. 20. A very thorough tub cleaner, because if you insist on marinating in your own juices, make sure the pot you're doing it in is totally clean. 22. 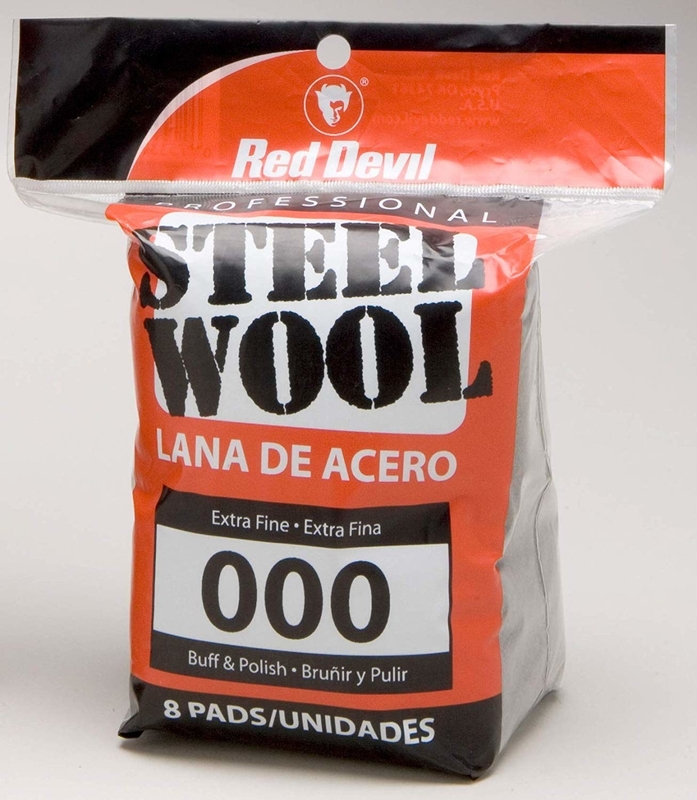 A pack of extra fine steel wool pads for the kind of gentle scrubbing your copper pots and pans (and even pipes) desperately need. Get a pack of eight from Amazon for $5.92. 23. 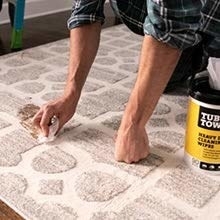 A watermark remover cloth to help you quickly and easily remove marks on wood caused by water, alcohol, heat, latex paint, and permanent marker, and help conceal surface scratches — oh and you can use it to polish metal and chrome. 24. A cooktop cleaner that'll have your electric stove sparkling without damaging it. 25. 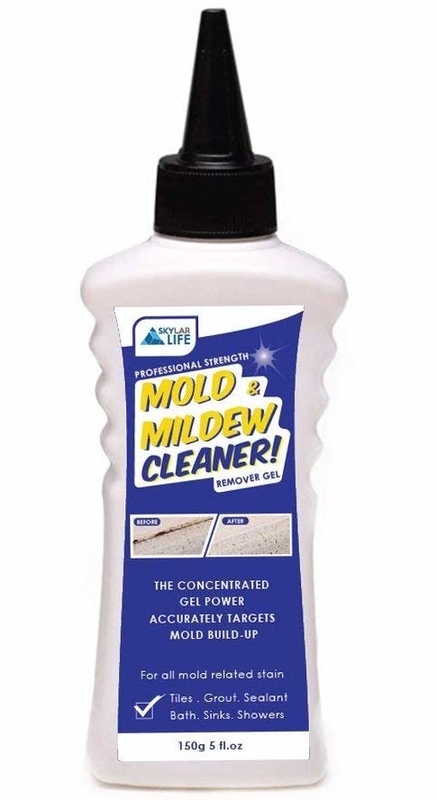 A concentrated-gel mold and mildew cleaner designed to get deep into your crevices and get rid of that ugly (and sometimes dangerous) buildup. 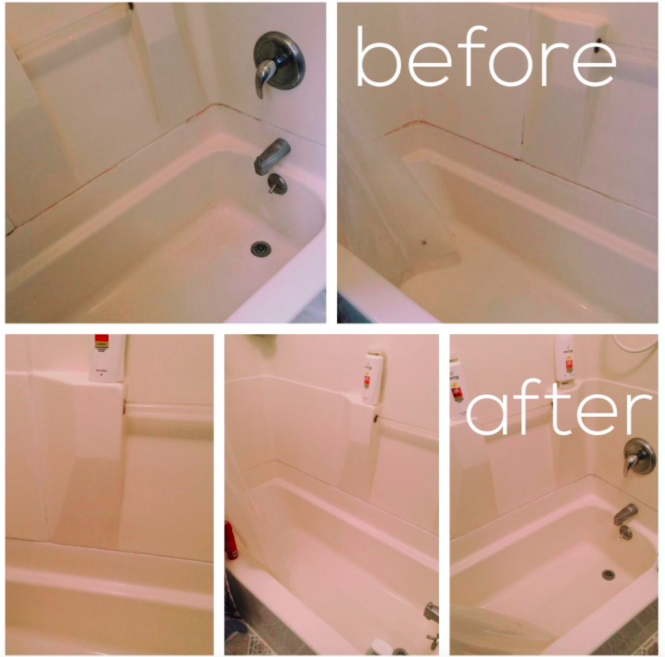 Promising review: "We had tried bleach along with other spray-on options and nothing worked. This was a last resort before I just removed it by putty knife and recaulked. I have to be honest, I did not expect the result to be this good and this easy to accomplish. 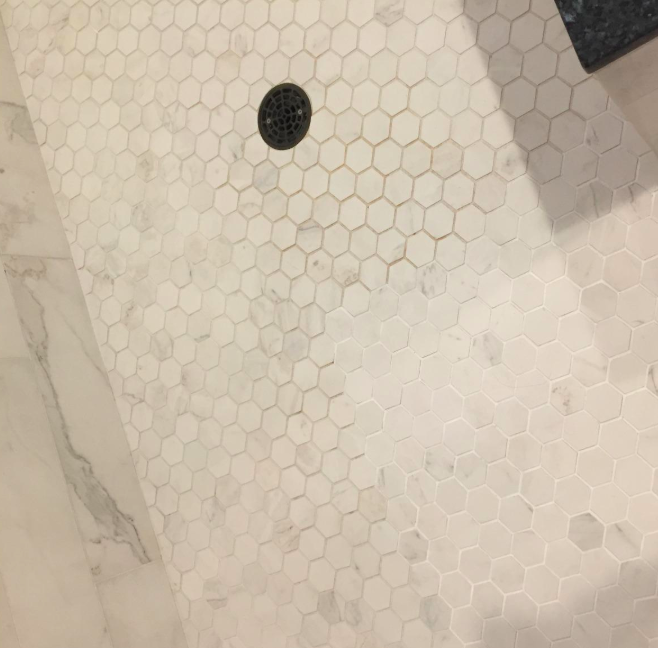 I had two separate corners I applied this to and the result was the same, mold is gone. I applied it three times for a total of about five hours apart and have around a half bottle left. All I did was apply and use a rubber glove to spread around. I did not think the smell was too strong — reminded me of an indoor pool chlorine smell. The smell went away after several hours. After final application, I just took a wet paper towel and wiped off the excess gel. The ease of use and final result of this product was simply amazing. This far exceeded my expectations. I would definitely buy this again." —David H.
26. 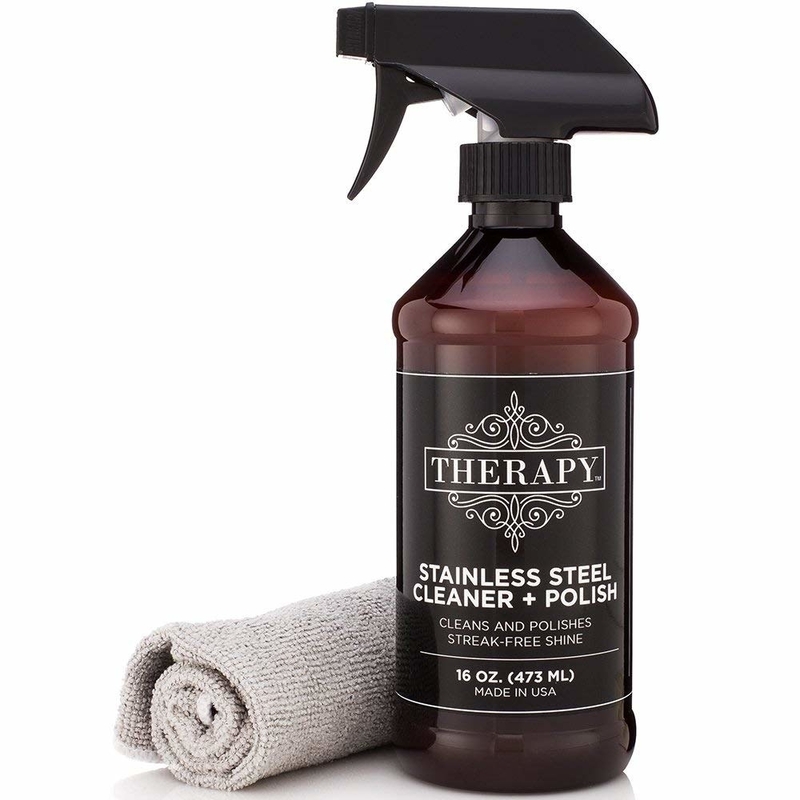 A stainless steel cleaner made of plant-based ingredients – it can help clean and protect against streaks, smudges, and fingerprints. 27. 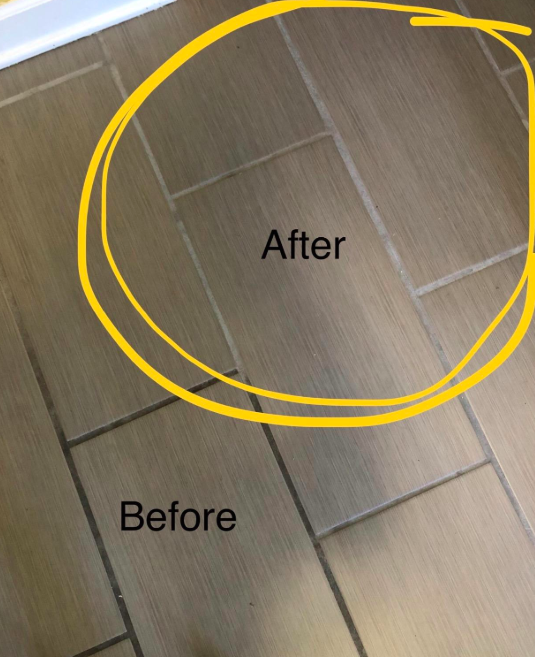 An acid-free grout cleaner that goes in deep to get even the dirtiest, grossest crevices so clean you'll get rid of all your furniture and just hang out on the floor. 28. 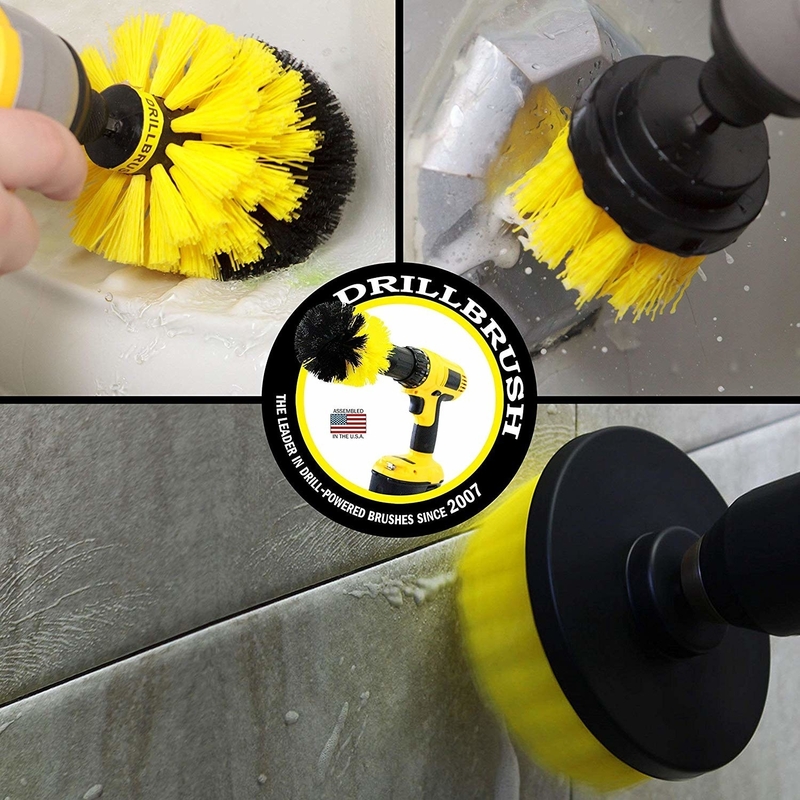 A pack of three nylon brushes you attach to your drill for a super scrub you never knew was possible. Get it from Amazon for $13.95+ (available in six bristle types). 29. 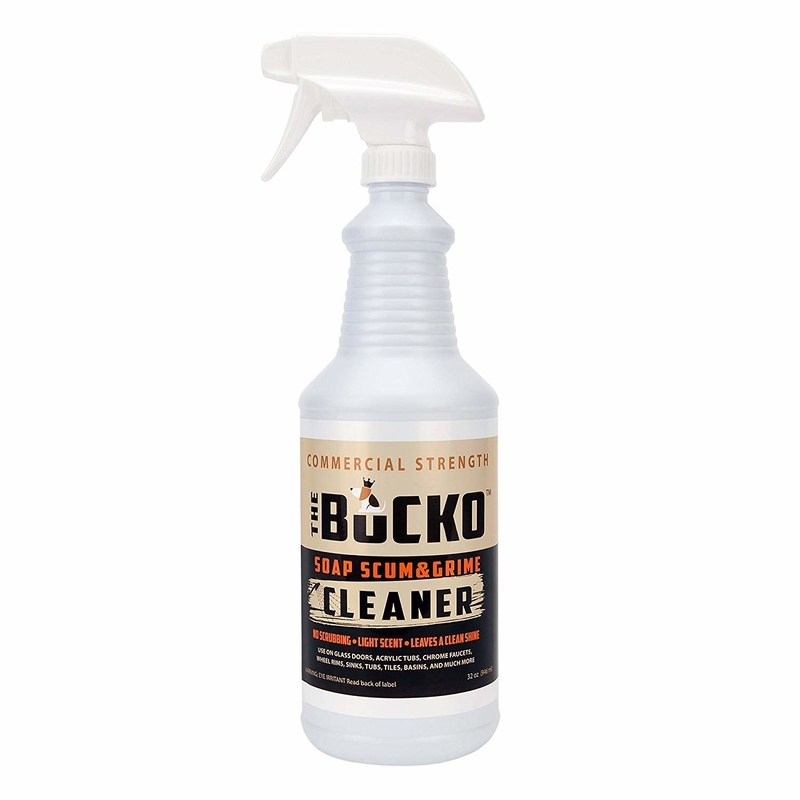 A foaming instant shoe cleaner that'll turn even your most worn, dirty sneakers sparkling again. Get it from Amazon for $9.99+ (available in five and nine ounce sizes). 30. 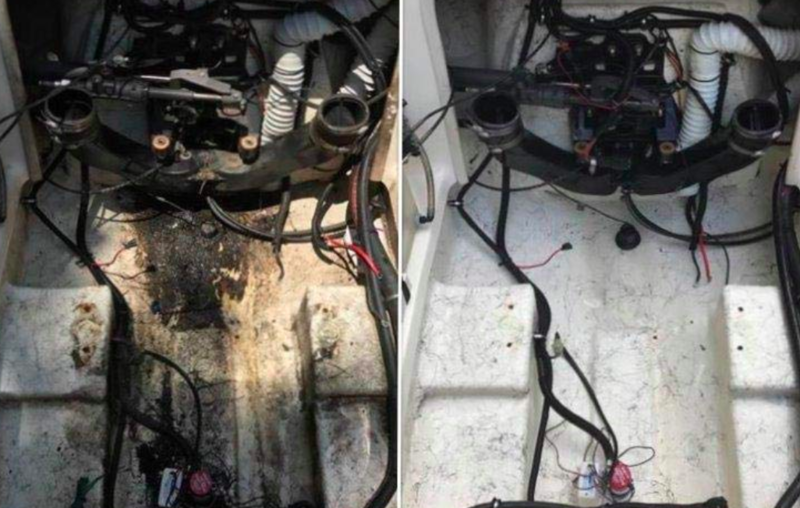 And a concentrated carpet cleaner designed specifically for machines, so it can really get deep down in there and basically change the color of your worn out carpet. If you're anything like me, then you're probably really freakin' excited about the idea of getting everything you own so damn clean!